President and CEO of Grand Forks EDC Keith Lund takes the stage Thursday evening to announce a joint venture with UND to place students in experiential learning positions with early-stage companies or companies developing new services and technologies. Photo by Connor Murphy/UND Today. Over the din of local business leaders rubbing elbows last week, Keith Lund’s focus was on UND’s students. That’s when Lund, president and CEO of the Grand Forks Region Economic Development Corporation, along with UND President Mark Kennedy and Provost Tom DiLorenzo, announced a new joint initiative aimed at the business innovators of tomorrow. Aptly named “InternGF,” the initiative hopes to offset costs for newer businesses looking to bring on interns. It’s also an effort to keep UND students in the Grand Forks region for internships and career opportunities. 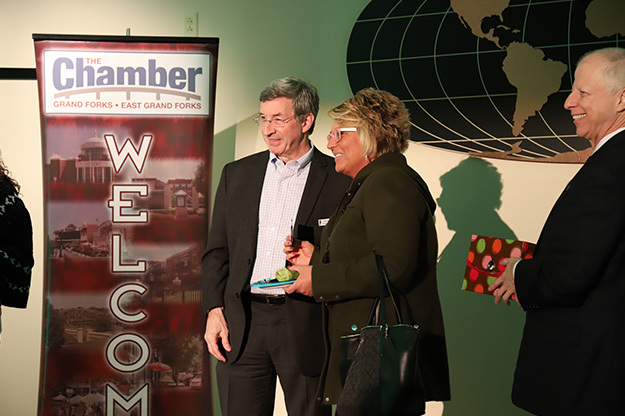 The announcement came Thursday, at the Grand Forks Chamber of Commerce’s “Business After Hours” event, hosted this month by UND’s Center for Innovation. Lund explained that the program is targeted at placing interns in entrepreneurial experiences with area startups, as well as local companies introducing a new product or service. “We think that students who have a passion for entrepreneurship and startup companies …will find great value in it,” Lund said. Center for Innovation Interim Director Barry Horwitz (left) envisions his revamped center as a development hub of experiential learning for UND students. And as the InternGF program grows, he hopes the Center for Innovation’s role grows with it. Photo by Connor Murphy/UND Today. Lund also pointed out the fact that entrepreneurial students have a difficult time finding internships in the Grand Forks area. With $35,000 in seed funding from the University, the goal is to entice more companies to entertain student-intern opportunities. The program will contribute up to $3,500 — roughly half an intern’s salary or payroll costs. Initiative backers hope to place up to 15-20 interns a year. “I’ve already started meeting with employers who might not have understood the true value of an intern,” said Becca Cruger, EDC strategic initiatives coordinator. Cruger’s previous experience working within the Pancratz Career Development Center, within the UND College of Business and Public Administration, showed her the impact the new initiative could have on entrepreneurial students in the area. 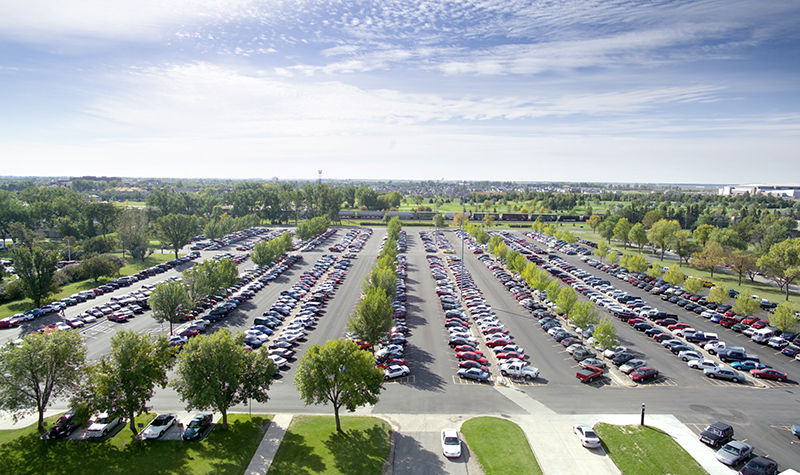 Many programs in the College and at UND require students to complete an internship or experiential-learning opportunity before graduation. 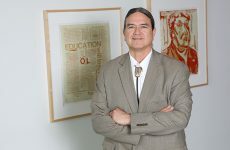 In the past, when students couldn’t find suitable opportunities in the Grand Forks area, Cruger was forced to steer them toward the Twin Cities or other metro areas. As someone who personally loves Grand Forks — this was hard for her to do. “InternGF is a key piece in the workforce pipeline and will help to keep those talented innovators and top students right here, instead of having some other community benefit from their ideas and energy,” she said. Center for Innovation Interim Director Barry Horwitz envisions his revamped center as a development hub of experiential learning for UND students. And as the InternGF program grows, he hopes the Center for Innovation’s role grows with it. UND and EDC officials touted InternGF’s potential to connect the local business community to a pool of UND students who have the skills employers demand. “This will not only provide wonderful learning experiences for UND students and innovative talent for area businesses, but will connect students more closely with Grand Forks in the process,” said President Kennedy. 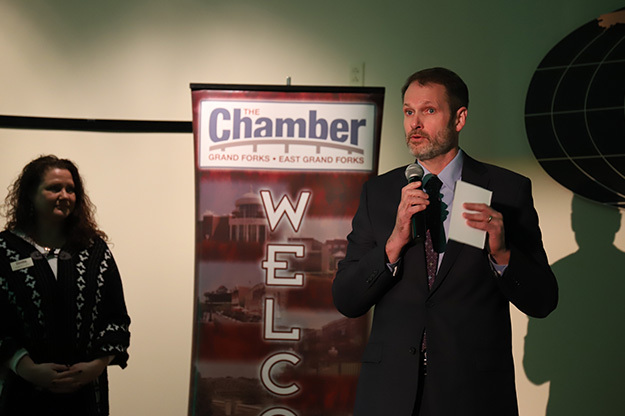 Lund reminded the Business After Hours crowd of Kennedy’s enthusiastic message that UND is the chief opportunity engine for the state and the region. Lund then offered a metaphor of his own. 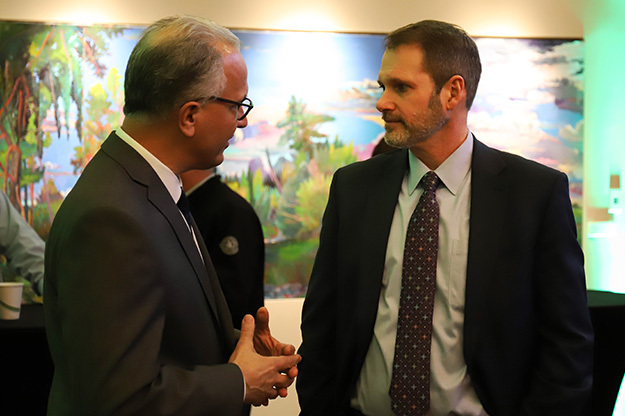 UND President Mark Kennedy and EDC President and CEO Keith Lund teamed up to announce the new InternGF initiative, which aims to keep UND students focused on economic developments happening right here in Grand Forks. Photo by Connor Murphy/UND Today. The University also recognizes how closely InternGF aligns with UND’s new strategic plan and its goal to deliver more high-impact learning opportunities. Lately, Cruger has noticed a visible shift in millennials experiencing a higher quality of life and exciting career opportunities in and around Grand Forks. The InternGF initiative would only enhance that trend.